The great Sandy Koufax takes up the No. 5 spot on our look at baseball’s six “other” back to back starts in recognition of Cincinnati Reds pitcher Johnny Vander Meer’s amazing accomplishment 78 years ago. On Saturday, June 11, 1938, Vander Meer no-hit the Boston Bees at home at Crosley Field. 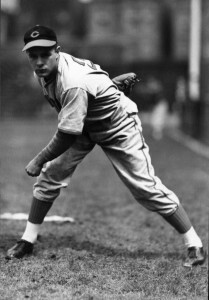 Four days later, he threw another no-hitter against the Brooklyn Dodgers at Ebbets Field to become the only major-league pitcher to throw back-to-back no-nos. The Los Angeles Dodgers’ Sandy Koufax would not begin his string of no-hitters in four consecutive seasons until 1962, but he actually achieved back-to-back no-hit starts midway through the 1958 season. Facing the Chicago Cubs at Los Angeles Memorial Coliseum on July 5, 1958, Koufax got off to a fine start, striking out Tony Taylor and inducing a fly-out to center from Al Dark before shortstop Don Zimmer allowed Lee Walls to reach base on an error. Koufax struck out Ernie Banks to end the inning, and he got Bobby Thomson to ground out to first for the second inning’s initial out. Cubs’ outfielder Jim Bolger followed by grounding another ball to first, prompting Koufax to run over to cover the bag. Dodgers’ Manager Walter Alston brought in reliever Johnny Klippstein, and Koufax would spend days on crutches before returning to the mound. Koufax took the ball for a July 18, 1958, start against the Philadelphia Phillies, but after he walked four batters in the first inning, Alston brought in Klippstein to try to minimize the damage. It marked a second straight no-hit start for the lefty. Fortunately for Koufax, his no-hitter prowess would surpass these two starts years later to cap a Hall of Fame career.